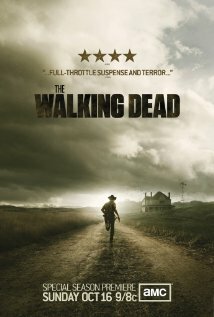 The Nerd In Heels: Are You Watching The Walking Dead? So just another series that I recently got addicted to. lol. After listening to the audiobook Feed (Newsflesh #1) by Mira Grant I am now really into Zombies. Yes you read it right, I am now team Zombie too. Now I am really interested in anything with zombie, say that be books, movies, series you name it. AMC's The Walking Dead season 2 airs on Sunday. And I just happen to be watching the series premier of second season. 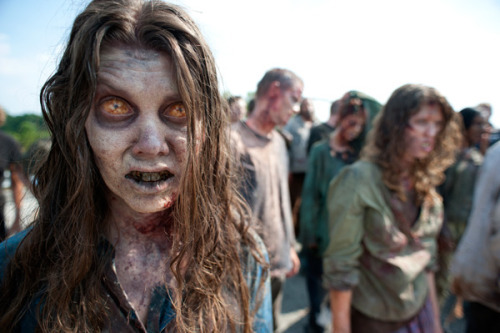 The makeup of the zombies in the show are freaking awesome. The first season can be found on DVD.